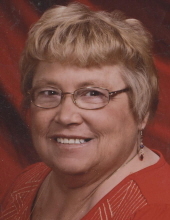 Cynthia A. Walker, 58, of Mason City, died April 8, 2019, at her home. A funeral service will be held at 10:30 a.m. on Thursday April 11, 2019, at Trinity Lutheran Church, 213 N Pennsylvania. A visitation will take place one hour prior to the service time on Thursday. Interment will be in Elk Creek Lutheran Cemetery, Kensett, Iowa. Memorials can be made out to the family of Cynthia Walker. Cynthia Ann Walker, daughter of Selmer (Buster) and Mavis Richards was born on August 13, 1960 in Des Moines, IA. She graduated from Mason City High School in 1978 and continued her education earning her CNA degree. In 1985 she married Mark Walker. Following his Naval career, they lived in Guantanamo Bay, Cuba before relocating to Gulfport, MS. During that time Cindy worked in nursing homes and daycare centers as a loving care provider and enjoyed the southern climate. Cindy always had a passion for her 4-legged children, nurturing many cats over the years. She also loved the water and spent as much time at the pool as possible. In 2006, Cindy returned to her roots in Iowa and enjoyed reconnecting with family and friends. Cindy was a true friend who maintained lifelong friendships and never forgot a birthday. Cindy’s huge heart was evident as an adoring aunt to her nieces and nephews and great niece and nephew. She loved being back in Iowa to share in their lives. Over the years, Cindy has had many health issues including a mechanical heart valve, stroke and being vent dependent. We were proud of her perseverance and daily mantra “Put one foot in front of the other” as she fought her way through rehabilitation. She worked hard to gain strength to walk again and eventually getting back on a bicycle. She always commented how appreciative she was of her caregivers. Cindy had a strong faith in Christ and was a lifetime member of Trinity Lutheran Church and active with the Arc of Central Iowa. Cindy is survived by her siblings, David (Rachael) Richards and Susan (Craig) Porter all of West Des Moines; 6 nieces and nephews, Kendra, Jarid, Kiley and Dylan Richards and Evan and Elyse Porter; great niece and nephew, Reese and Daxton Richards. A very special aunt Lois Heflin of Alden, IA, and cousins Barb (Paul) Niedermeyer, Mary (David) Snower and Mark (Connie) Heflin. She was preceded in death by her parents, Selmer and Mavis Richards and grandparents, Bennie and Lilly Brunsvold and Ralph and Anne Richards. To send flowers or a remembrance gift to the family of Cynthia Ann Walker, please visit our Tribute Store. "Email Address" would like to share the life celebration of Cynthia Ann Walker. Click on the "link" to go to share a favorite memory or leave a condolence message for the family.